Commercial and industrial contracts have dried up. Construction demand in Singapore dropped markedly in 2015, with the value of both public and private sector contracts booking negative year-on-year growth for the full year. According to Citi, public construction contracts were unable to cushion the overall demand slowdown last year. “Despite a significant budgeted increase in public infrastructure, the reality is that any increase in civil engineering contracts has been small compared to the drop elsewhere,” Citi said in a report. “Besides the well-telegraphed weakness in the residential sector, the prospect of over-supply in the commercial and industrial property space has begun to put the brakes on construction contracts for these two segments,” Citi added. In its annual Economic Survey released in February, the Ministry of Trade and Industry (MTI) warned that prospects for the construction sector have weakened in 2016. This was on back of the drop in contracts awarded in 2015 and continued sluggishness in private sector construction demand. With an area of about 113,000 sq m, the complex will be thrice as big as the current courthouse. It will be eco-friendly, featuring naturally ventilated corridors, solar power panels and high-rise gardens. The Office Tower will house offices and support facilities, while the Court Tower will have over 60 courtrooms and more than 50 hearing chambers, compared to the 40 courtrooms and 28 hearing chambers in the existing complex. The new courthouse will have no outer walls; instead, courtrooms will sit on open-air platforms surrounded by greenery such as a roof garden. Singapore’s third law school at SIM University, specialising in family and criminal law, is expected to be co-located at the complex. Foundation specialist CSC Holdings was awarded a $21.6 million contract for sub-structure works in June 2014, and it has completed piling works on the site, which used to be an open-air public carpark. The new complex was designed by Serie + Multiply Consultants and local Singaporean firm CPG Consultants. The current octagonal building began operating on Sept 15, 1975, and centralised various courthouses around Singapore. Previously known as the Subordinate Courts, it was renamed in March 2014. The landmark attained conservation status on July 10, 2013. After the new State Courts complex is completed, the current building will be retrofitted and the Family Justice Courts will operate there from 2023. Samsung C&T is currently involved in the construction of Tanjong Pagar Centre. 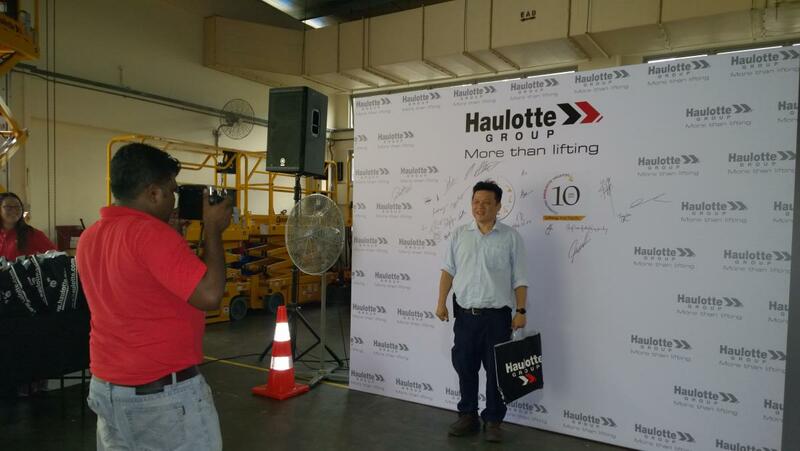 On the 10th December 2015, Haulotte Singapore turned 10 and celebrated its birthday with a Customer Day event at Haulotte Singapore warehouse located at Changi North Way. The event lasted throughout the day from 9am to 6pm with 35 guests attending the event. 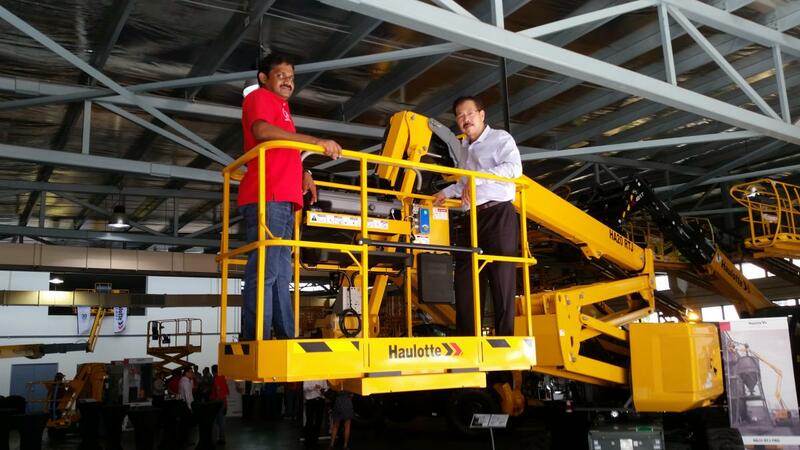 Other guests include journalists and IPAF. 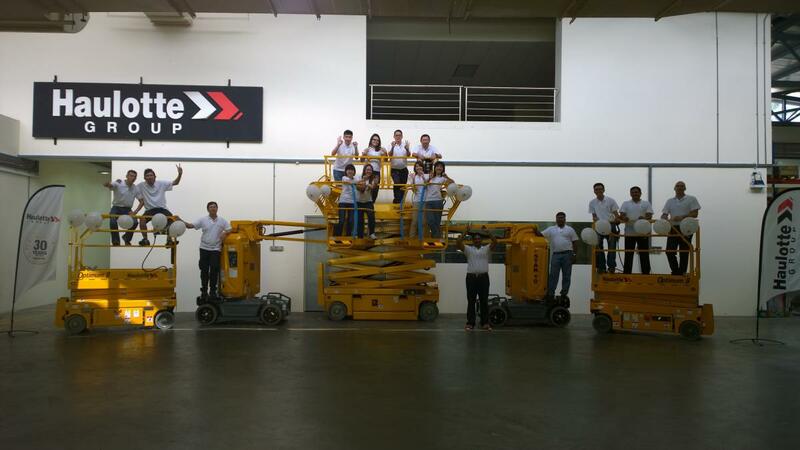 Customers analyzing the new HA20RTJ boom lift and Optimum 8 scissor lift. 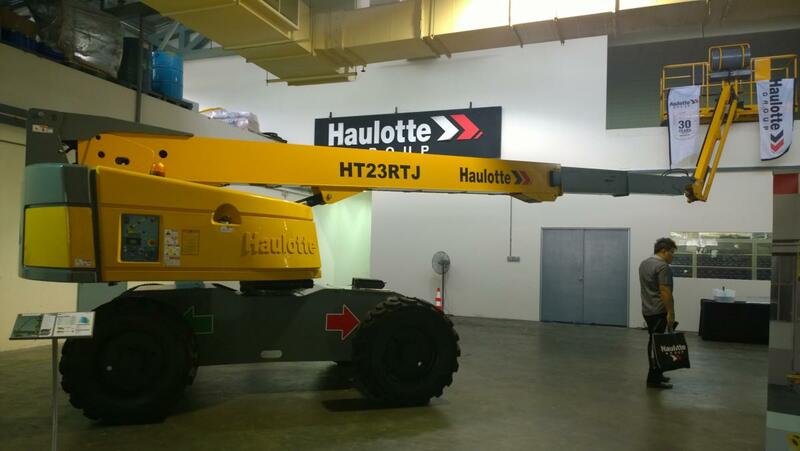 Haulotte Singapore launched the new 2015 Haulotte products which include the new vertical mast Star 10, Optimum 8 scissor lift and HA20RTJ boom lift. 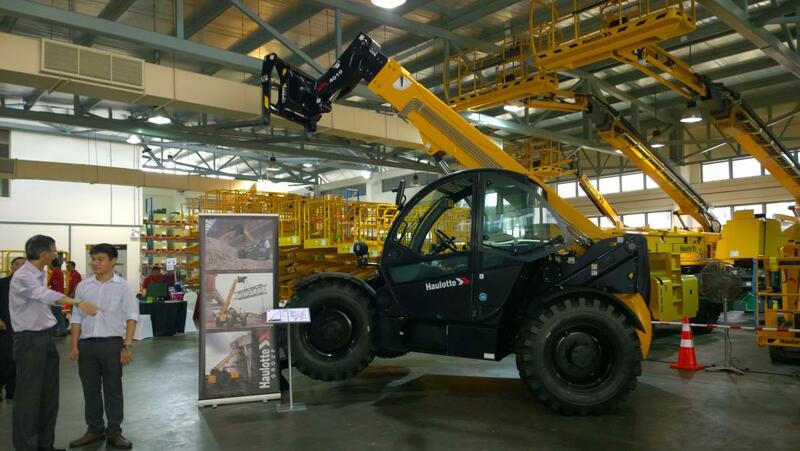 The launch also includes the telehandlers HTL4010 and HTL4017 and telescopic boom HT23RTJ. 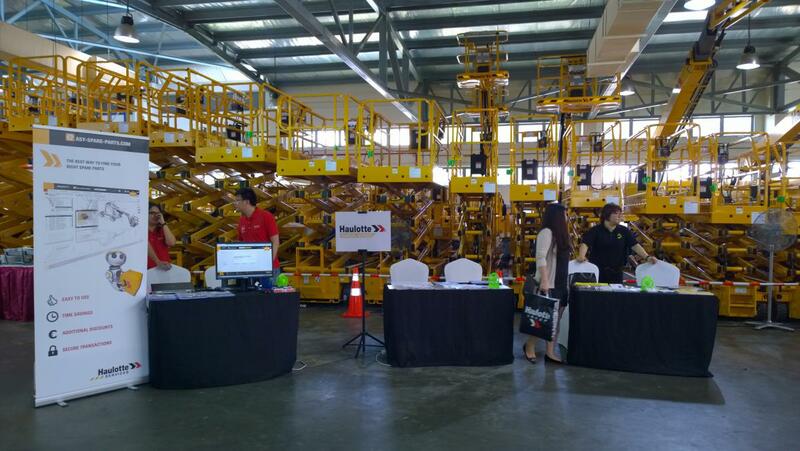 The machines were displayed complete with datasheet stand for the guests’ convenience. 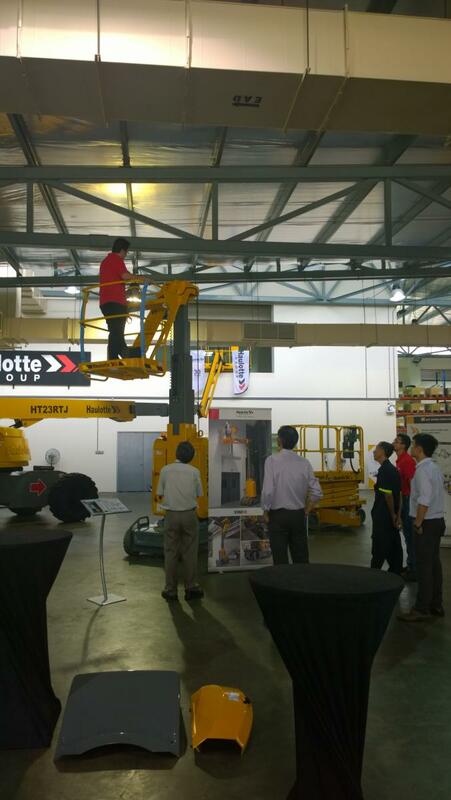 Machine demos were also carried out at the event and customers were free to try out the newly launched machines. 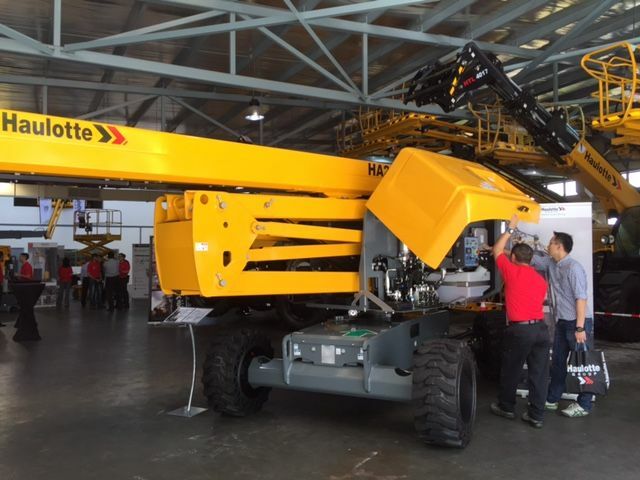 Demo and try outs on Haulotte machines. 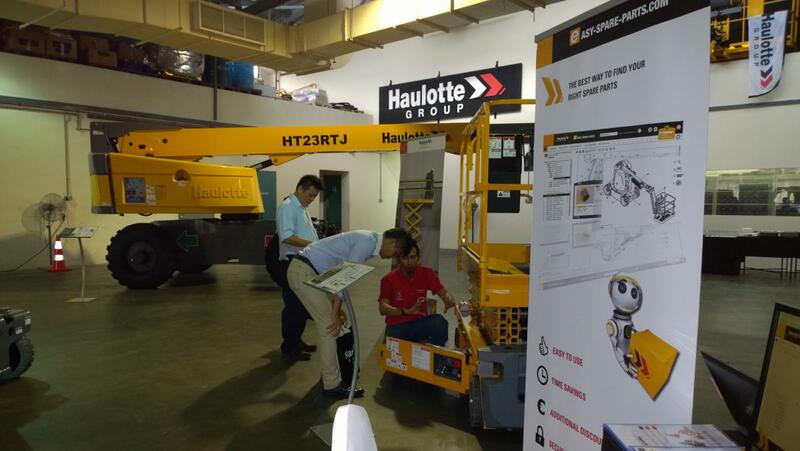 Booths were set up at the event as Haulotte Singapore focuses on Haulotte Finance Services (HFS), Easy Spare Parts (ESP); where customers experience ordering spare parts online, and safety; in collaboration with IPAF. 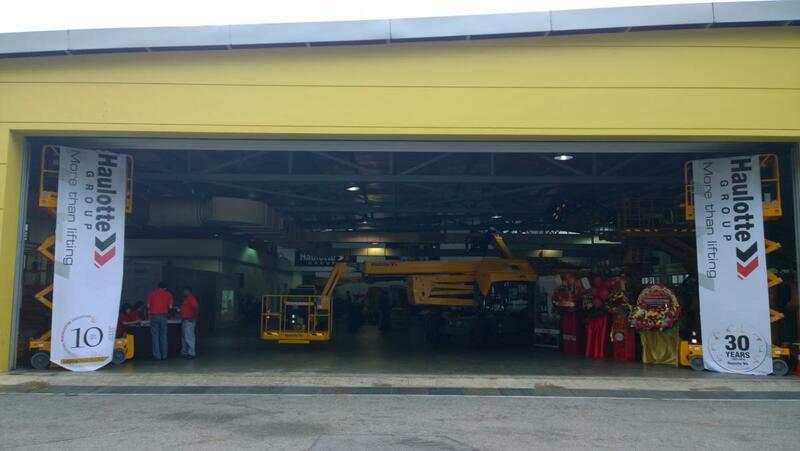 ESP, HFS and IPAF booths. The Haulotte Diagpad was also introduced to customers. This diagnostic software application installed on portable PCs or tablets operating with a VCI (Vehicle Console Interface) unit connected to each machine and providing wireless access to technicians to repair all Haulotte machines. 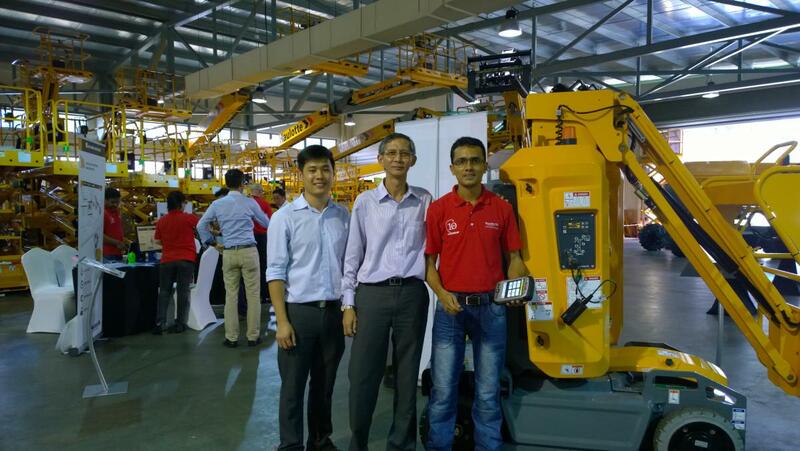 This helps many of our customers to repair our machines by providing detailed, clear and rapid information to simplify troubleshooting of our machines. This results in shorter intervention time in the event of breakdown and improved productivity, by allowing technicians to propose the right repair solution in all circumstances. Haulotte staff going through Haulotte Diagpad with customers. Guests were given the opportunity to sign autographs on the photo wall and instant photo prints. They also receive goodie bags which includes T-shirt, USB thumb drive with Haulotte new products information, notebook and mug. At the photo wall – Customer taking pictures and giving autographs. 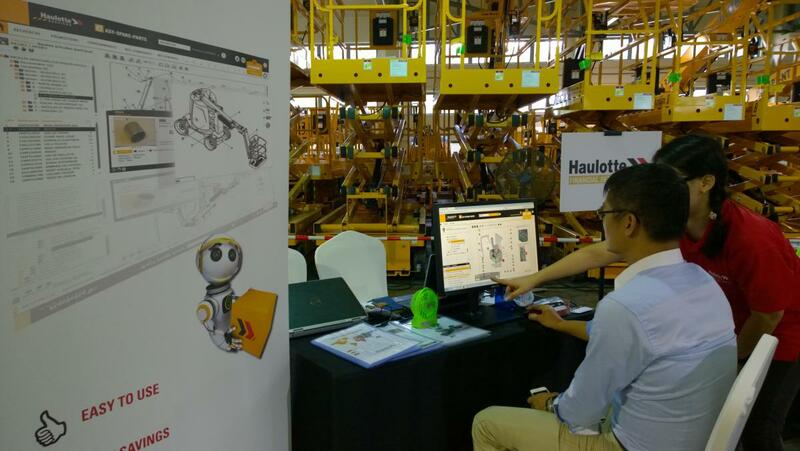 The Customer Day event was a success and Haulotte Singapore thanks all customers who joined and celebrated its 10th anniversary. 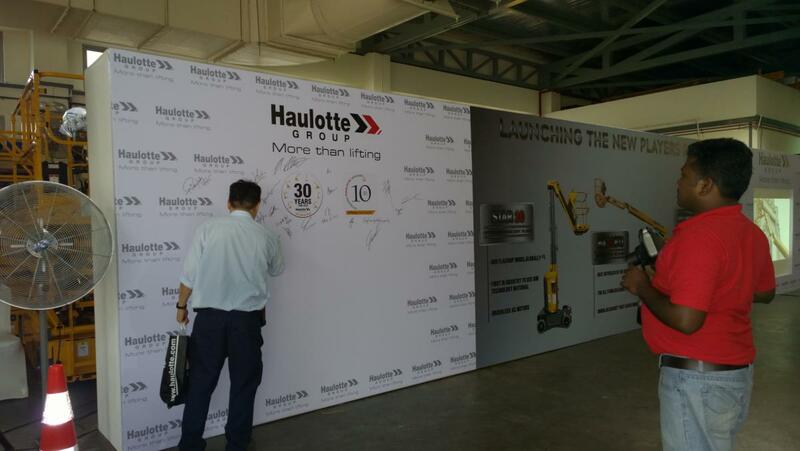 Haulotte Singapore team spent the day celebrating Haulotte 30th Anniversary with fun and excitement. 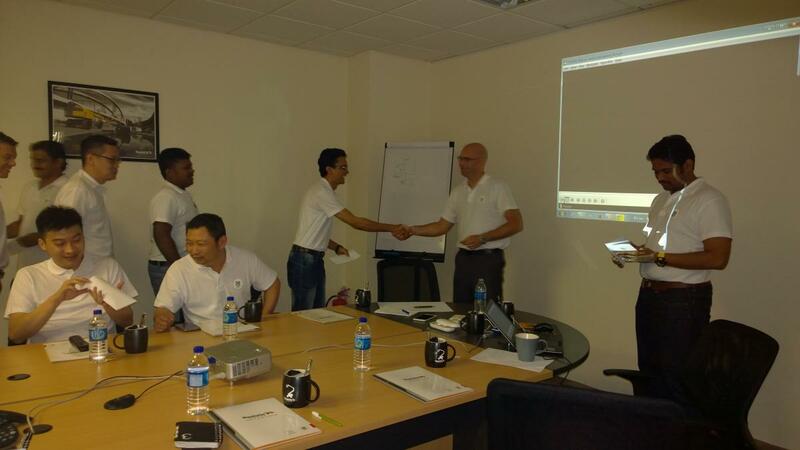 The celebration started with a speech from the Regional Managing Director, Mr Damien Gautier and introducing the team with Haulotte’s 30th Anniversary video as well as new corporate and products videos presented by Regional Marketing director, Mr Suresh Kuttaiyan. The team was then presented with momentos including, personalized Haulotte gifts and movie vouchers. For lunch, the Singapore team was treated with South American food without skipping the Churros with salted caramel bananas, mangoes and coconut infused mascarpone sabayon for dessert! 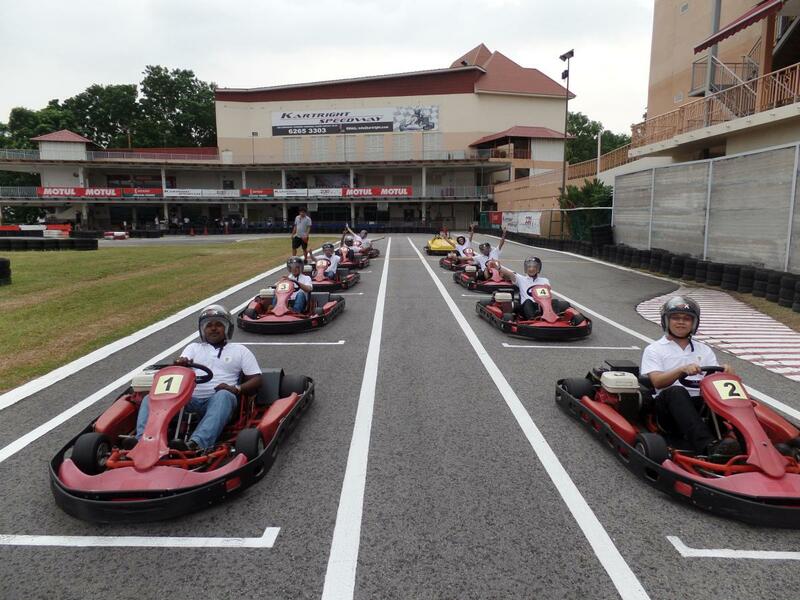 The Singapore team also went for kart racing at Kartright Speedway in Jurong. Everyone had their chance to participate in an adrenaline rush but fun and friendly competition. The team ended the day with winners receiving trophies presented by Mr Damien Gautier. 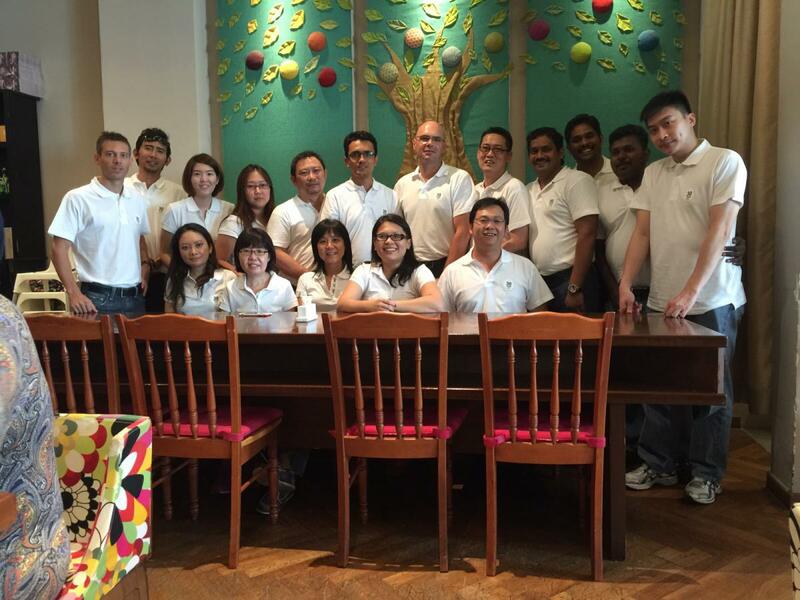 For sure, there is great camaraderie among the Singapore team.